St. Joseph Chiropractic is the area's experienced choice when it comes to pain management. Dr. Craig Mattox has spent over 15 years as a chiropractor, treating headaches, neck and back pain, tingling and numbness, sciatica, carpal tunnel, knee and hip pain and more. Our caring team of professionals understands that it's not just enough to mask pain with medication. Our goal is to continue to provide exceptional chiropractic care in St. Joseph that brings lasting relief using a holistic approach without the use of drugs or invasive surgical procedures. At St. Joseph Chiropractic, we offer relief for the entire family. We use the appropriate level of care for babies, children, teens, adults and seniors. 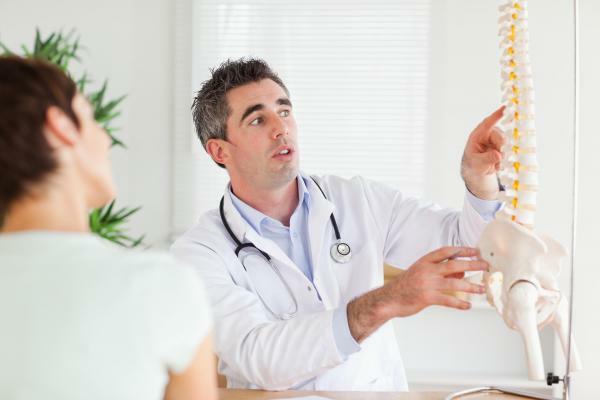 We provide pregnancy chiropractic care as well as treatments for victims of auto accident injuries and a variety of other personal and sports related injuries. Our office in St. Joseph uses both instrument adjustment and manual adjustment techniques, selecting the best method to suit each person's individual needs. We also make use of the latest therapies and rehabilitation exercises to help restore strength and mobility. We can minimize pain while reestablishing a full range of motion. This helps you recover fully from your current condition and return to a fuller, active life! We use a variety of valuable chiropractic treatments for both pain management and weight loss. We are proficient in disc decompression, traction, manual manipulation, rehabilitation, low-level or "cold" laser therapy, and the use of Kinesiology tape. We offer diathermy radio wave therapy, electrical muscle stimulation, ultrasound therapy, unweighted treadmill therapy and more. When it comes to weight loss, our innovative Slimdome treatments use harmless, infrared rays to help you reach a detoxifying sweat that can burn up to 600 calories in a single 40-minute treatment! This could result in a reduction of body weight of 5% without any physical effort. Additional benefits of Slimdome include improved skin tone, increased circulation and blood oxygenation, reduction of joint pain and the release of stored toxins. Learn more about Slimdome and the benefits it offers by contacting St. Joseph Chiropractic. Get Your Free Initial Consultation Today with Our New Client Special! Get on the path to a healthier, pain-free life today with your complimentary initial spinal exam and consultation. Your no cost, no obligation initial consultation includes a private, one-on-one consultation with the doctor along with a series of neurological and orthopedic tests. We want you to get the relief you need and want to be assured chiropractic care is appropriate for you. To schedule your FREE initial chiropractic exam, call the office of St. Joseph Chiropractic in St. Joseph, MO at 816-279-0700 or use our convenient online form. We look forward to assisting you!